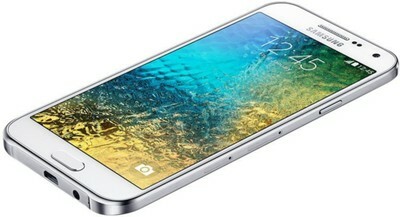 Samsung Galaxy E5 is a Dual SIM (dual stand-by) smartphone. It comes with a 8 Megapixel, Pixels: 3264 x 2448 primary camera. It has 16 GB, 1.5 GB RAM internal storage which can be expanded up to microSD, up to 64 GB. 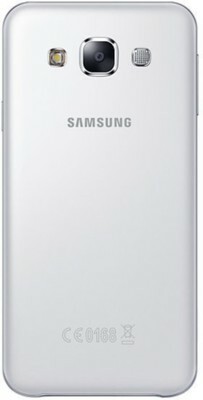 This phone has come with the Lithium-Ion(Non-removable) 2400 mAh battery. The phone is powered by a with . The device has a 5.0 inches with a resolution of Pixels: 720 x 1280 ; Pixel Density: 294 ppi . This phone runs on Android KitKat v4.4.4. 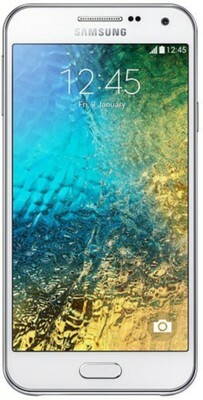 Samsung Galaxy E5 price in India is Rs.13454. The best Lowest Price of the Samsung Galaxy E5 is Rs.13454 at amazon Online Store. The price list updated on 20th April 2019. This item is currently available on 3 online stores.